Vanessa O'Loughlin © 24 April 2013. 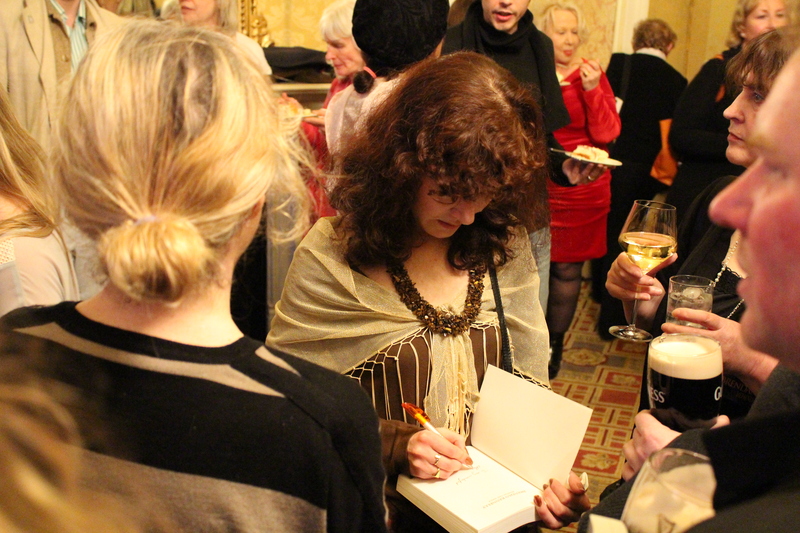 At a truly remarkable launch in the Shelbourne Hotel last week, Dr. Sandrine Brisset’s literary biography of Brendan Kennelly was revealed to the family, friends and associates of one of Ireland’s greatest poets. Remarkable for its timing – it was Brendan’s 77th birthday – and for the evening’s wonderful combination of poetry, dedication, music and song, this book is even more special as it has been written by a very close friend of Kennelly’s. Brisset comes from Brittany in the north west of France, and has been living in Dublin for over a decade. She has lectured in the Law School at Trinity College, Dublin, and in the English Department at Saint Patrick’s College, Drumcondra, and during that time, she has enjoyed daily contact with Brendan Kennelly and has become a colleague, a neighbour, and most of all a close friend. 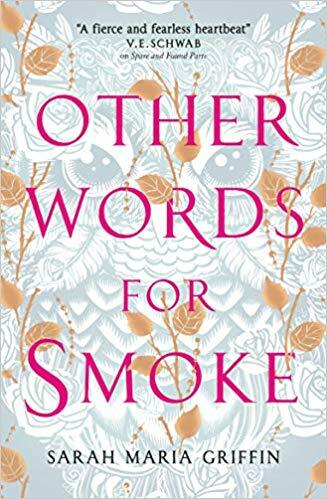 Her critical understanding and personal insight prompted Kennelly to say: ‘I feel she knows more about me than I do about myself.’ Behind the Smile fulfils his wish that she should write a book about his private self. 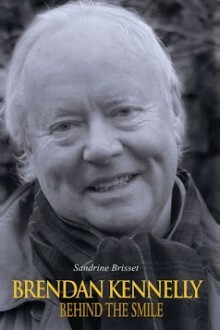 In a heart-warming and perceptive speech, Minister Deenihan revealed, “Sandrine, in writing about Brendan, has absorbed and listened and digested and captured the essence of Kennelly. He is one of the foremost contemporary Irish poets of his generation, with a firmly based international reputation, and has become respected as a vigorous and perceptive critic, an energetic playwright, and a prolific broadcaster. In Behind the Smile, the reader discovers a fully fledged portrait of Brendan Kennelly: not just the gifted poet with a dimpled smile, but a man with many facets and many masks and whose personal struggles gave birth to some of the best poetry of our time. Behind the Smile makes it clear: Brendan Kennelly is up there with W.B. Yeats and Patrick Kavanagh – to most people he is – this book certainly confirms his place amongst the hierarchy of the great Irish Poets. The difficulty for many great poets is that it often takes one great reader to show the way and guide other readers on the road to realise the magnitude of their poetry. Brendan Kennelly has been very lucky because Sandrine has done that pioneering work, she has brought forth all the beauty of both his verse and the experience of the man who gave birth to his work. As the evening continued, Mary Black was on hand to sing Kennelly his favourite of her songs, and a French singer and friend of Brisset’s, Agnes La Minotte sang Piaf’s Je Ne Regrette Rien, a song Kennelly has been keen to hear Brisset sing for him. 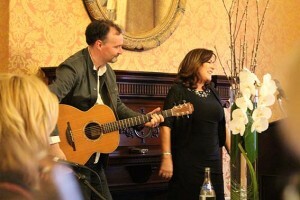 Noel O’Grady sang Raglan Road, accompanied by Frankie Gavin on the violin – a song particularly appropriate for the evening as the imprint Brisset has founded in order to publish is Raglan Books. The arrival of a beautiful birthday cake, made by The Paris Bakery, topped off the night. 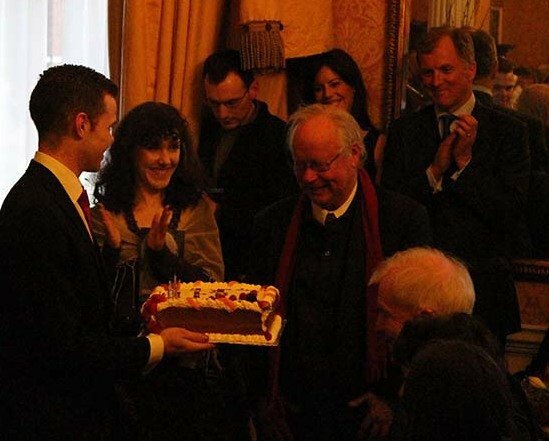 Arts Minister Jimmy Deenihan looks on as Brendan Kennelly blows out the candles. Kennelly has more than twenty books of poems to his credit, including My Dark Fathers (1964), Collection One: Getting Up Early (1966), Good Souls to Survive (1967), Dream of a Black Fox (1968), Love Cry (1972), The Voices (1973), Shelley in Dublin (1974), A Kind of Trust (1975), Islandman (1977), A Small Light (1979) and The House That Jack Didn’t Build (1982). Kennelly has also edited several anthologies, including Between Innocence and Peace: Favourite Poems of Ireland (1993), Ireland’s Women: Writings Past and Present, with Katie Donovan and A. Norman Jeffares (1994), and Dublines with Katie Donovan (1995). He is also the author of two novels, The Crooked Cross (1963) and The Florentines (1967), and three plays in a Greek Trilogy, Antigone, Medea and The Trojan Women. This new book, supported by Trinity College, Dublin and St Patrick’s College Drumcondra and published under the Raglan Books imprint is an account of Brendan Kennelly’s life and work takes the reader on a journey from public comedy to private tragedy. It is a must read. Visit the website to pick up your copy. Photos by Craig Williams. Dr. Sandrine Brisset was kept busy signing!